One of my nieces just purchased her first house (I know, how can she possibly be old enough for that already?!) and she has asked for my help when it comes to planning and designing her outdoor spaces. I know all too well that the yard is often an important component of your home and it doesn’t do well to let it fall by the wayside! Though my niece is absolutely in love with the aspects of her home, she does wish it had a bit of a bigger yard. In fact, she has one of the smallest backyards that I have ever seen! 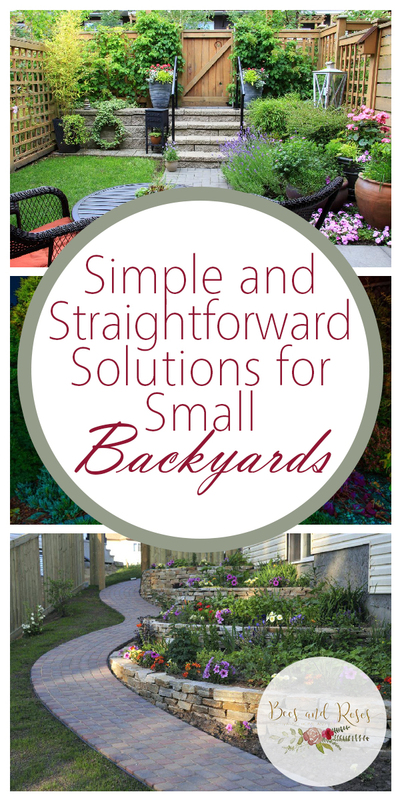 Determined to maximize her small yard space, we came up with a few straightforward solutions for her small backyard. We will use the concept less is more. When working with small backyards, I’ve found that a vertical garden is almost ALWAYS necessary! 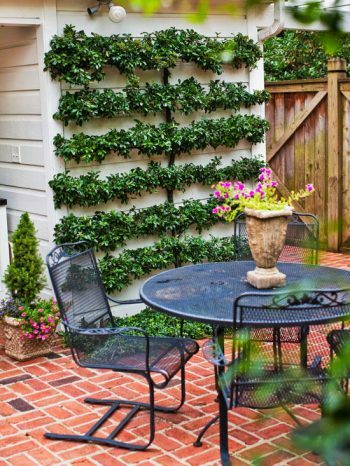 Vertical gardens are a great way to still garden without sacrificing too much of your ground space. Plus, I think vertical gardens just create such an added interest. For more information on vertical gardens for small backyards, check out this article of mine on the very subject!